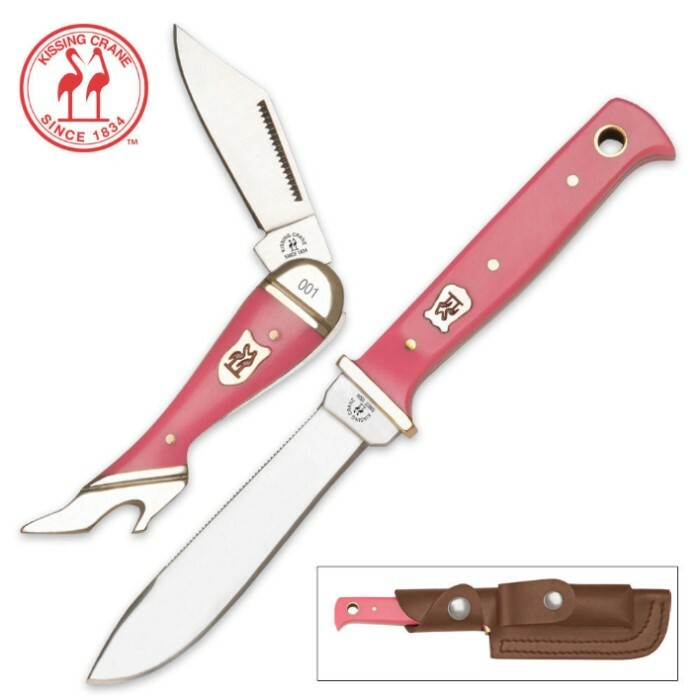 Kissing Crane Hunter Leg Knife Set Pink & Sheath | BUDK.com - Knives & Swords At The Lowest Prices! This Kissing Crane Hunter offers a 4" full-tang, mirror-polished stainless steel blade with intricate file work on the back of the blade. Included in this set is a matching leg knife that measures 3 1/2" overall. Each cutlery masterpiece features a pink celluloid handle. This set includes a fine-grade, high-quality leather belt sheath for storage of your new treasures.